You have to see it to believe it. 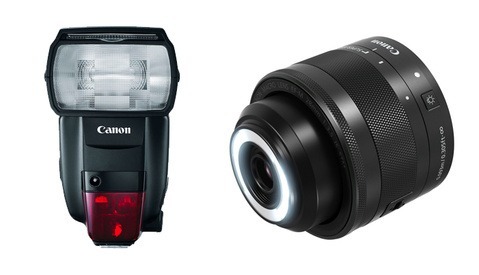 Canon's new 470EX-AI Speedlite has built-in artificial intelligence (AI), so that even if you don't know what a perfect bounce flash is, it will do it for you. At the end, you will get a perfect, naturally exposed image. When I watched the video, I didn't expect the flash head to turn on its own. It has a built-in motor and is able to turn to a position at which the light will bounce back to the subject, providing a perfect exposure. Even if you don't know where to aim the flash, the 470EX-AI is able to learn on its own. Once ready, it will turn automatically regardless of your camera's orientation. The flash is compatible with E-TTL and E-TTL II, which means if you put it into a fully automatic mode, it will be almost like a point-and-shoot, but with a natural looking light, even if you don't know what you are doing. With this release, Canon aims for new photographers just starting to use speedlights, but these features also take one more thought process out of any professional photographer's shoot just the same. If you are a more advanced photographer, you can use it full manual mode by controlling the head movement and exposure settings. Canon's 470EX-AI Speedlite has also a semi-automated mode where you point it to an angle where you think the flash bounce will work best and tell the flash to remember that angle. When you shoot in a portrait or a landscape mode, half-pressing the shutter twice will tell the head to turn to that angle in relation to your camera's orientation. The flash will be available by May, 2018, and is now available for pre-order at $399. What do you think? Will this new flash also help professionals who need to capture portraits quickly and accurately such as the wedding photographers and photojournalists? Why would you need it off-camera when an off-camera flash usually doesn't move but stays stationary and is not affected by camera's orientation? From what I see, the flash probably works with a gyroscope detecting camera's portrait and landscape orientation. There's no joystick control. That's why it won't work the way you want. However if Canon reads that and they haven't planned that functionality yet, a remote joystick control, would be the functionality you'd give your money gladly for. The current speedlite is not there yet. The features listed so far don't include manual control off-camera, though the hard parts (servos, etc.) are in place for that if they want to add it later. If the AI is good, then as you and your subject move around the off-camera flash should adjust where it bounces automatically. For fast-moving event shooting that may be worth a shot. Right but your question was framed more generally so I was answering it that way. Maybe I misunderstood. If the point of aim of the camera is changed, one would think using the 'learn' button to start the self-test process would render different results because, depending on the geometry of the room, the distances and angles of the reflective surfaces could be different from the point of view of the camera. This would be the case whether the flash is on the hot shoe or mounted on a light stand. I can certainly see the usefulness of such a capability even when mounted on a remote light stand. ...and how much time would it take to control the flash head? How many shots would be missed while trying to re-aim it, or set it's panning speed, only to have the subject change speed? Would you then need some sort of tracking ability? If so, how would you tell the flash who to track? How would it track them? It's the same problem when your flash recycles slowly. You use gear that's appropriate for the project. If you have a rapidly moving subjects you won't rely on changing camera orientation, moving heads or waiting them to move, or waiting for a flash to recycle. There's no universal tool. That flash is good for certain types of jobs and it's interesting indeed. It's not a silver bullet. "How much time would it take to control the flash head? etc etc"
Uh, probably less time than walking over and doing it by hand after lowering a light stand and then putting it back up. Generally speaking, I light a room trying to establish a large working area. Sometimes things happen outside that working area. Yeah but if you could put two off light flashes on hovering drones, it would be something if they also can detect the best place to bounce from as they move to accommodate your position. How often do you compose the scene with the subject in the middle, then maybe off to one side or the other? Depending on your focal length and distance to subject the camera movement can be quite large, and yet you'd want the light in the same place for each shot. If the flash was moving based on your camera movement it might miss the subject entirely. Best to just keep it simple. I'm sure a technique such as the multiple pre-flash measurement could be used to automatically find the subject, but in a spontaneous situation the shot would be gone by the time the flash found the right angle. In this case there's a certain tolerance, because it's a bounce flash after all. It's a broad key + fill light as a perception. It doesn't need to be super precise as, for example, a closely placed softbox where 4 inches to the side change the exposure with more than 1 stop. Which negates the need to move the flash. . . . .
You've never transitioned from portrait to landscape orientation during a shoot? Pay attention to what's being written. I was responding to someone who wanted the flashes to be able to track remotely from a light stand, not on the camera. To answer you question though, yes, all the time, and I can do it every bit as quick as this flash. I would love to see this for the 600, but really, I think people spending the money for Canons top of the line flash are likely quick enough and comfortable enough with working the flash head that it wouldn't really speed up their workflow enough to make the expenditure worthwhile. When you're shooting an event the appropriate bounce angle may change not only with the switch from landscape to portrait orientation, but also with subject movement or changes in subject. Waiting for pre-flashes in those situations would slow you down. I can tell from watching the video that it would be slower for me to find a new "optimum angle" each time I moved than to just grab the head and twist. The nice thing about the flash is that it saves you time to move the head manually every time you change the perspective. When you have a situation where subjects are changing their places rapidly in relation to the bounce surfaces, you'll work in full manual mode, of course (probably only wtih E-TTL). If your ceiling is low enough, you can set its angle to a vertical one and it will work regardless of the position of your subjects. True, but you have to set the position in the flash head. It's six of one half dozen of the other. I think when this technology hits the top level 600 type flashes we'll see some more advanced iterations of it, but we may have to wait for the next generation of bodies first. Sort of like the 600ex RT roll out. 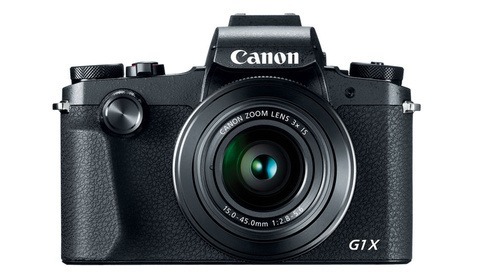 "Canon doesn't innovate" they say. This is insane. I am sure this one is one of a series of patents related to that technology. They won't release something letting the competitors easily steal their ideas and extend them beyond. I'm excited to see what else they turn out next. Li-Ion batteries? Convenient to use triggers? After they released the RT series flashes and saw the Chinese knock off their designs in under a year, their engineers said "Oh yeah?" Canon are aware of such cases. That's why they first plan ahead their move and many other improvements or gear based on that idea, so that they can release their new ideas one by one before the competitors. Right! haha. They're probably just waiting so we are shocked like this. This freaks me out though, I'd rather move the flash myself, it becomes farther from art every time we allow the equipment to do more for us I think. It's like putting your camera on auto. Actually TTL, [P] mode are similar things. They are all aiming to hook beginners to buy gear thinking they can make a "professional image" (read: "correctly exposed image") with an "expensive camera." After some time shooting at [P] they buy another camera that probably has a better [P] mode. This keeps the sales going, while professionals buy new gear every 2-3 years, because they know what they want and know what they do. 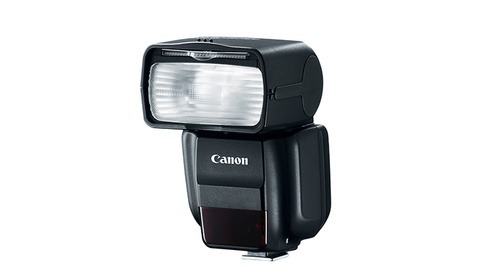 This flash is definitely usable for those who shoot weddings and use bounce flash all the time. The rest 60% of its functionality aims to grab the attention of the beginners.